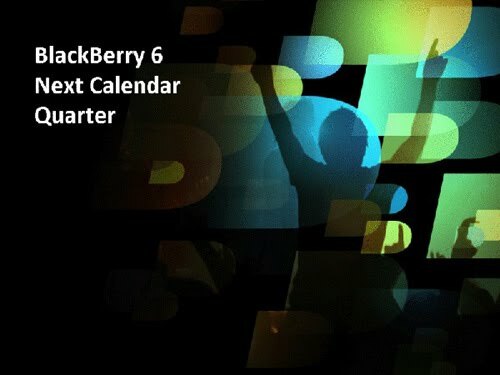 Will Your BlackBerry Receive OS 6.0? Supported Devices Revealed! *UPDATE* New information has obviously since come out. Unfortunately OS 6 takes up about 280MB memory. As you know, the Storm2 only had 256MB. This is why there should be a Storm2 Odin refresh that will have 512MB memory. Devices with out a touchscreen only use about 180MB of memory with OS 6. This is why the 9700, 9650, and 9100/9105 should all get OS 6. The first day of WES 2010 has been a great start to what should be a very informative week. We recently brought you even more leaked details on the features of OS 6.0, which truly sound like RIM is working in the right direction. Now, we’ve learned details on which devices will receive OS 6.0 support. All current unannounced BlackBerry devices such as the Clamshell 9670, Storm Slider (9800? ), and potentially a Storm3 will all launch with OS 6.0. The Atlas 8980 and Kepler 9300 will most likely still release with only OS 5.0. While we’re told OS 6.0 should release in Q3, there really isn’t a solid ETA. We are told the OS 6.0 bundles are still very early beta and won’t start carrier testing until mid July. Will you still use your BlackBerry if it won’t support OS 6.0? Or, do you think you’ll upgrade to a newer model just for the new OS?